Google Maps is showing some people a card asking them to to take charge of their listings in Google My Business. 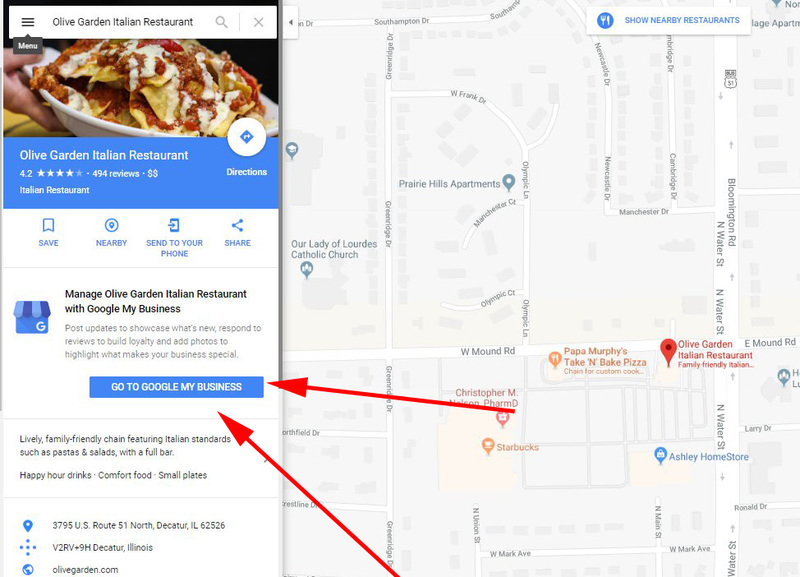 Google is showing a "go to Google My Business" card where you can post updates and information about your business, directly in the Google Maps search result listings. It shows right between the action buttons and the description of the business, a card that says "Manage Olive Garden Italian Restaurant with Google My Business. It says you can "post updates to showcase what's new, respond to reviews to build loyalty and add photos to highlight what makes your business special." I personally cannot replicate this, but this is a nice way to get business owners to validate their business listings in Google Maps.